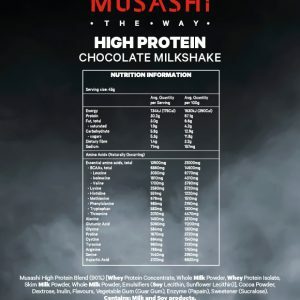 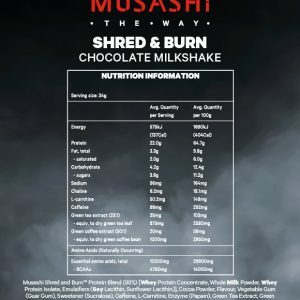 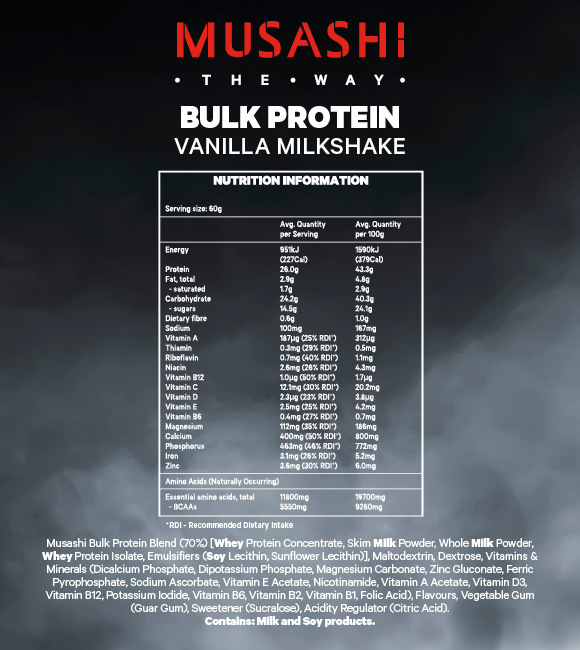 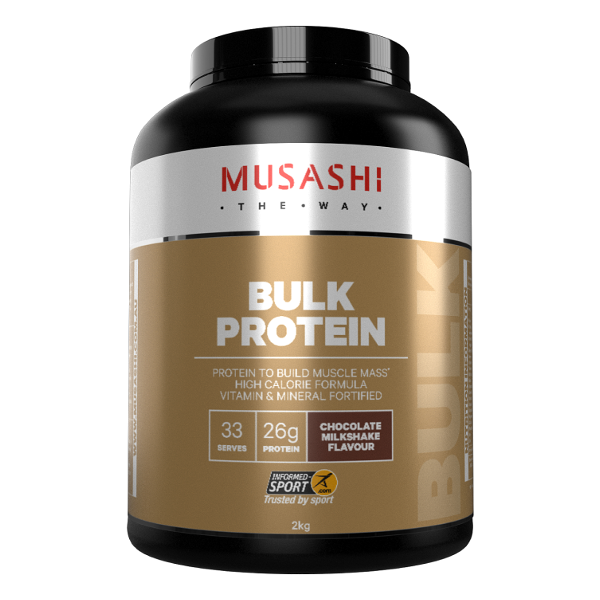 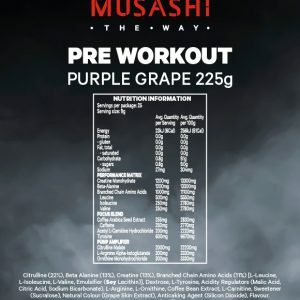 MUSASHI BULK PROTEIN is a scientifically formulated nutritional supplement for body builders and athletes looking to maximise muscle growth and replenish glycogen stores. 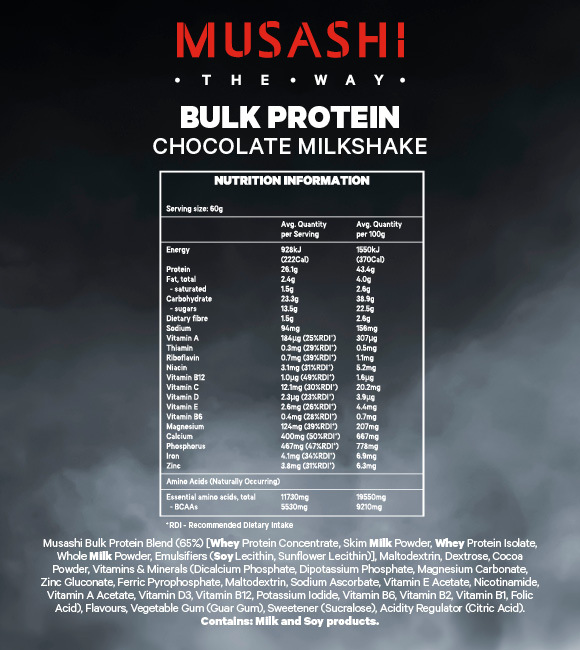 This high performance formula consists of premium grade multi-source protein and readily absorbed carbohydrate blend. Fortified with vitamins, minerals, and is boosted with naturally occurring essential amino acids (EAAs) and branched chain amino acids (BCAAs). 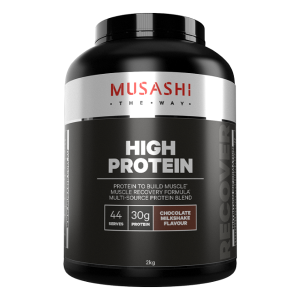 This high calorie formula comes in an easy to drink great tasting protein shake.